Hola! We're back with another fun, flavor-bursting soup to keep us warm as we round out this winter season. This recipe features my nutrient-rich homemade broth base. With homemade broth, more nutrients are transferred to the pot from the bones, marrow, cartilage, etc. Rich in iron, protein, and other immune supportive nutrients, this healthy soup is a great go-to choice as we are all ducking and covering to avoid this bad flu going around. This recipe is also budget and crockpot-friendly and goes a long ways! See below for more details and the recipe! Broth- Place chicken drumsticks into large pot and add 3 quarts of water or fill pot according to amount of soup broth desired. Add chopped onions, oregano, thyme, bay leaf and 2 teaspoons of salt to start. Add more salt or increase water to taste after meat is fully cooked if staring with raw meat. Bring broth to a boil. Once broth has reached boiling point, reduce to low and let simmer for 3-4 hours. After 3-4 hours taste broth and adjust seasonings: water ratio to preferred taste. Meat should be falling off the bone at this point and very easy to hand shred once liquid has completely cooled down. This process can also be done in a crockpot set on high setting for 6-7 hours first thing in the morning if needing to leave the house. After broth is completed to desired flavor, see soup recipe below. The longer the soup simmers, the better it tastes. 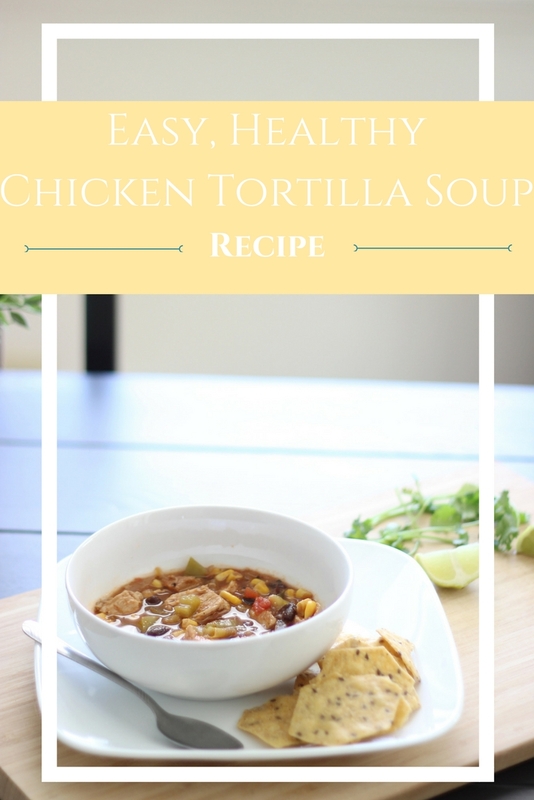 Once soup has reached desired taste and temperature, serve into your favorite bowl and top with some fresh cilantro, a squeeze of lime juice, avocado, your favorite tortilla chips, nutritional yeast or shredded cheese and Enjoy!